Specifically, the BSA endeavors to develop American citizens who are physically, mentally, and emotionally fit; have a high degree of self-reliance as evidenced in such qualities as initiative, courage, and resourcefulness; have personal values based on religious concepts; have the desire and skills to help others; understand the principles of the American social, economic, and governmental systems; are knowledgeable about and take pride in their American heritage and understand our nation’s role in the world; have a keen respect for the basic rights of all people; and are prepared to participate in and give leadership to American society. Boy Scouting, one of the traditional membership divisions of the BSA, is available to boys who have earned the Arrow of Light Award or have completed the fifth grade, or who are 11 through 17 years old . The program achieves the BSA’s objectives of developing character, citizenship, and personal fitness qualities among youth by focusing on a vigorous program of outdoor activities. Thousands of volunteer leaders, both men and women, are involved in the Boy Scouting program. They serve in a variety of jobs: everything from unit leaders to chairmen of troop committees, committee members, merit badge counselors, and chartered organization representatives. Like other phases of the program, Boy Scouting is made available to community organizations having similar interests and goals. Chartered organizations include professional organizations; governmental bodies; and religious, educational, civic, fraternal, business, labor, and citizens’ groups. Each organization appoints one of its members as the chartered organization representative. The organization is responsible for leadership, the meeting place, and support for troop activities. Several groups are responsible for supporting Boy Scouting: the boy and his parents, the troop, the chartered organization, and the community. 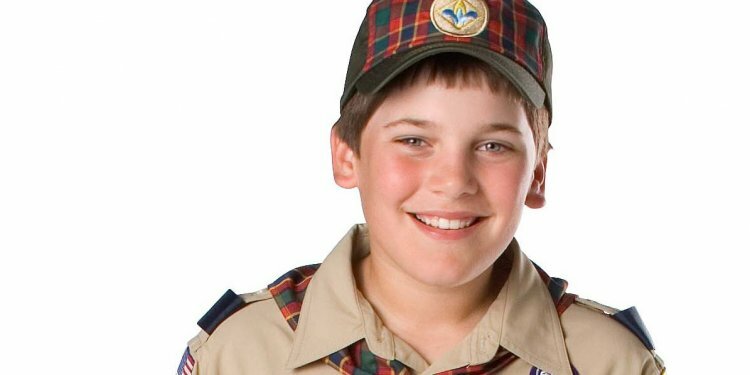 Boys are encouraged to earn money whenever possible to pay their own expenses, and they also contribute dues to their troop treasuries to pay for budgeted items. Troops obtain additional income by working on approved money-earning projects. The community, including parents, supports Scouting through Friends of Scouting campaigns, bequests, and special contributions to the BSA local council. This income provides leadership training, outdoor programs, council service centers and other facilities, and professional service for units. The Scouting program has three specific objectives, commonly referred to as the “Aims of Scouting.” They are character development, citizenship training, and personal fitness. The methods by which the aims are achieved are listed below in random order to emphasize the equal importance of each. Boy Scouting is designed to take place outdoors. It is in the outdoor setting that Scouts share responsibilities and learn to live with one another. In the outdoors the skills and activities practiced at troop meetings come alive with purpose. Being close to nature helps Boy Scouts gain an appreciation for the beauty of the world around us. The outdoors is the laboratory in which Boy Scouts learn ecology and practice conservation of nature’s resources. As Boy Scouts plan their activities and progress toward their goals, they experience personal growth. The Good Turn concept is a major part of the personal growth method of Boy Scouting. Boys grow as they participate in community service projects and do Good Turns for others. Probably no device is as successful in developing a basis for personal growth as the daily Good Turn. The religious emblems program also is a large part of the personal growth method. Frequent personal conferences with his Scoutmaster help each Boy Scout to determine his growth toward Scouting’s aims.